Dmitris and Mariana are based in Paris and apart from running their school in Paris, they also travel around the world to teach and perform. 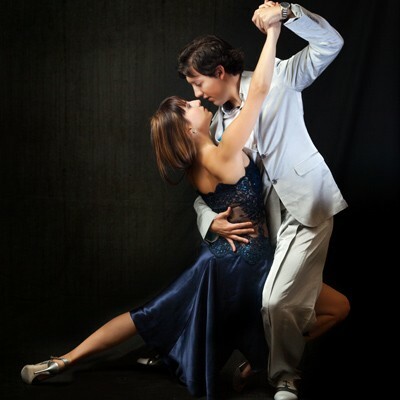 In their own words: "Their purpose and idea of tango is based on the equal relation between partners trying to find a better contact and communication via the embrace of tango." He has obtained a diploma in the University Paris VIII, department of Dance, studying aesthetics, philosophy and history of dance. He continued his studies with the Master ‘Conception and direction of cultural projects’ in the university of Nouvelle Sorbonne Paris III. Mariana started dancing classical and contemporary ballet at the early age of 4 and she has studied classical ballet in Thessaloniki, in Greece. During her formation she has also been taught traditional European dances, Jazz, Latin Dances and she has participated in many performances of classical repertory in local theatres.